It’s the Memorial Day weekend and no better time to barbecue. Fired up the grill and some fun snacks while we readied some steaks with Mediterranean sea salt and fresh ground pepper, and filled up our glasses with some 2008 Smoking Loon Pinot Noir. This California pinot was in our ‘regular’ rotation of pinot noirs a few summers ago and was like an old friend stopping by to visit. We didn’t allow it to sit upon uncorking but went straight to the pour. 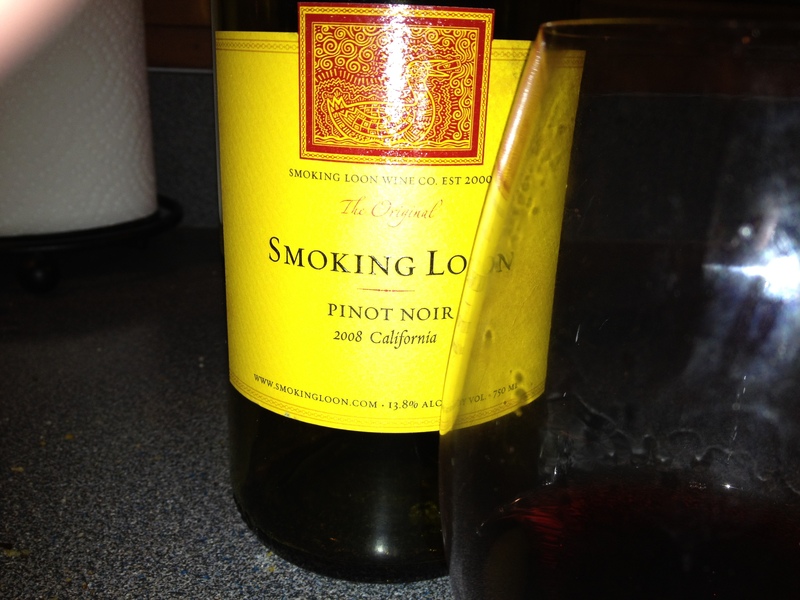 2009 Smoking Loon Pinot Noir, from California, USA. Very consumable, with a soft fruity red that left you an enjoyable berry aftertaste. I’m sure the experts have more erudite comments about the wine so I’ll simply remark that the second bottle always tastes just as great as the first. That should be testament enough.